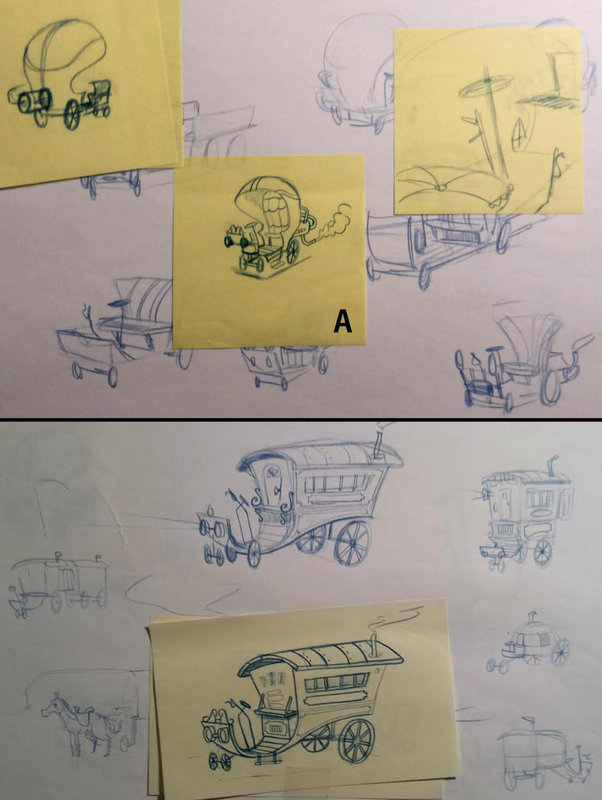 ART OF ANDY: "STUDY" visual development 1890's vehicles. This assignment was given to me by a mentor of mine. It was the first assignment of many that I'll be posting throughout this blog. 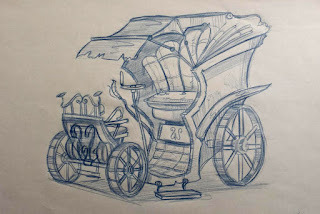 The assignment was to design 3 vehicles of different time periods 1890's, 1950's, and 1970's. The only advice was "Think CHARACTER, HISTORY, TIME PERIOD, STORY, and IMPERFECTION. rough and not cleaned up. 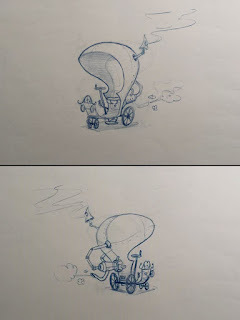 On the first concept I kinda got caught with one design. I went straight for it without really thinking about it. In doing so the drawing came out big filling up the page. Which limited my design and I got caught up with detail. Drawing small allows you to experiment with different shapes and sizes. Big, medium and small. It also allows you to pick out key parts that makes your character stand out. As in where to put detail and where not to add detail. Best part of drawing small it makes it easy to move on and try something new. instead of trying to make it perfect and over working your design. Like my first concept. "lesson one"
Starting fresh! Drawing small thumb nails thinking about silhouette and crazy shapes. I liked "A" it Looked like a baby carriage for old people. No way could I have gotten these shapes if i had drawn it big. It Turned out to be some old villain's getaway car. 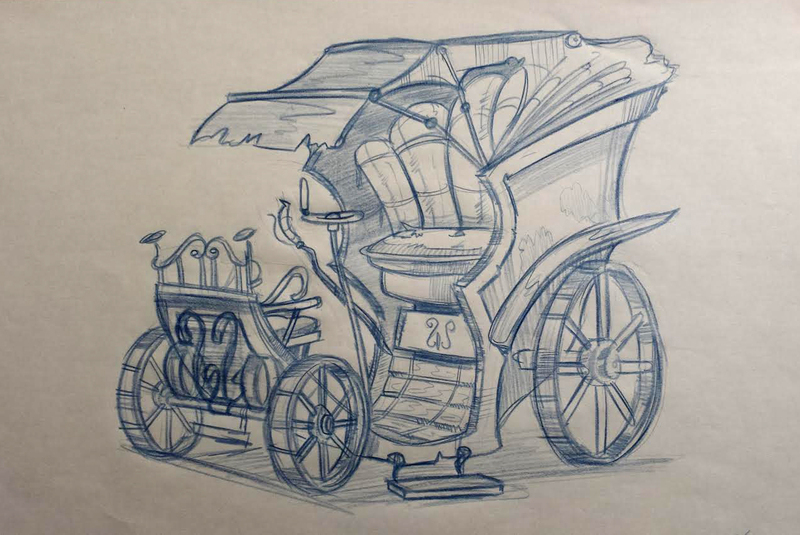 making the car material metal and somewhat steam punk adds to the character and story. The futuristic motor might be a tad to much but a villain needs to get in and out quick.